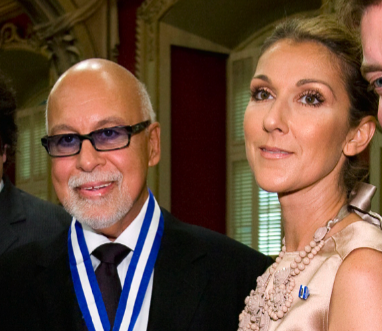 Congratulations to Celine Dion, who gave birth to twin boys this morning! Dion reportedly delivered the fraternal boys this morning at St. Mary’s Medical Centre in West Palm Beach, Florida at 11:11AM and 11:12AM. The boys weighed in at 5lbs 4oz and 5lbs 10oz, each, and are healthy and doing fine. However, because they are premature (their due date was in November) they will spend the next few days in the NICU. In addition, Dr. Ronald Ackerman, Dion's obstetrician and gynecologist, told Us Magazine: “As coach and confidant for over 12 years for Celine and Rene, it is an honor and privilege to make this announcement on behalf of the Celine and Rene. At St. Mary’s Medical Center, at 11:11 and 11:12am, Celine gave birth to 2 healthy baby boys weighing 5lbs 10 ounces and 5 pounds 4 ounces. “The cesarean section was performed by the team and Dr. Ruel Stoessel, Celine’s obstetrician, and high risk doctor and obstetricians Dr. Steven Pliskow and Dr. Joshua Ackerman, my son. I would like to thank Dr. Stoessel, Celine’s high risk obstetrician who availed his high level of expertise to enable us to reach this joyous day.